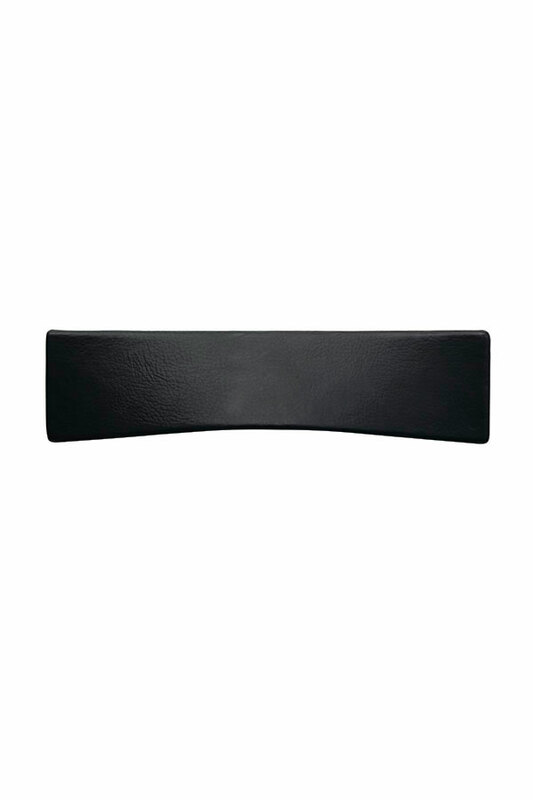 A distinctive leather cabinet pull, with modern lines and multi functional simplicity. Bold shape draws attention to specialty and exotic finishes. Available in Black Leather.